# Chef Cheyne Morrisby has opened Lucky Boa and Asian Shake Bar in Hout Bay. # Chef PJ Vadas has opened The Hog House on The Werf Bakery and Café at Spier. 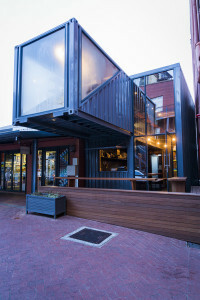 # Charango Grill & Bar Peruvian restaurant is part of the Metier private equity firm, which has bought a 70% share in the Harbour House Group. More Charango branches, of what is to become a franchise operation, are to open. # David Higgs has left five hundred at The Saxon, to open his own 250-seater Marble restaurant in Rosebank in Johannesburg in May. His business partner in the venture is Gary Kyriakou. Chef Werner Spöhr has joined them. Chef Candice Philip has taken over the kitchen at five hundred. # Sundoo Indian tapas bar has opened in Sea Point, by Seelan Sundoo. # Tiger’s Milk is to open in the SanClare Building in Claremont, in Century City, in Stellenbosch, and in Bryanston in Johannesburg. # La Belle Bistro & Bakery has opened next to Pepenero in Mouille Point. # Springfontein Barn has opened outside Stanford, serving German bar food. # Bouchon Bistro has opened in Dorrance Cellar. # The Orangerie and Champagne Bar has opened at Le Lude in Franschhoek. # Chef Bertus Basson is considering opening a new informal open-fire restaurant on Hidden Valley, alongside Overture. # Yours Truly has opened new branches on Hout Street and on Loop Street. # Raya Kitchen by Kitima is to open in the city centre. # Nooka Café vegetarian restaurant has opened. # Cucina Labia has opened at Casa Labia, operated by Dish Food & Social. # Big Box Board Games Café has opened in Gardens. # Marigold Indian restaurant is to open in Franschhoek in winter. # An Italian restaurant is said to open on Bree Street. # Honeybadger has opened on Loop Street. # Benguela Cove Pop-Up Restaurant has opened outside Hermanus, until March. # Barney’s Deli has opened in Hout Bay. # Oude Bank Bakery has opened in Stanford. # The Creamery Café has opened a branch in Mouille Point. # ASH restaurant is opening inside Frankie Fenner Meat Merchants/Publik, with Chef Ash Heeger, returning to Cape Town. # Restaurant Jardine is to open in Stellenbosch in February, the kitchen headed up by Chef Brendan Thorncroft, owner Chef George Jardine alternating between the new restaurant and Jordan Restaurant. # Folk Coffee Anthropology has opened on Bree Street. # La Petite Ferme has opened a Tapas Bistro. # Melissa’s is opening in Camps Bay, above the new restaurant which was previously Tuscany Beach and which opens in November. # 65 on Main Banting Café has closed down. # Rafiki’s Bar is closing down at the end of summer. # Andiamo in the Cape Quarter has closed down. # Marc’s Mediterranean Cuisine & Garden has closed in Paarl. # Emily’s on Kloof Street has closed down. # Voila has closed in Cape Quarter. # Chick In on Rose Street has closed down. # Tribakery Bree Street has closed down. # The Flagship in Simonstown, formerly the restaurant of the late Bruce Robinson, is closing on 15 April. # Beau Vine in Constantia appears to have closed down. # Tuscany Beach in Camps Bay is closed for renovations. A new restaurant with a new name will open in November. # La Parada and Harbour House are opening in the former Constantia Nek restaurant building. # The Salmon Bar has closed temporarily, until it can find new premises in Franschhoek. # Chef Suzi Holtzhausen has sold Gaaitjie in Paternoster to Chef Jaco Kruger. # Reuben’s Franschhoek will move to new premises when its lease expires. # Chef Jenny Morris has opened Yumcious Café for Breakfast and Lunch, where Celtic Cove used to be in the Cape Quarter. # Bar Bar Black Sheep has re-opened in Riebeek Kasteel, with new owners John and Susanna Tecklenburg. # OYO at V&A Hotel will close in May, for a few months, for a complete renovation. # Dropkick Murphys has opened on Kloof Street, where GourmetBoerie used to be. # The Village Grill has opened where Allora used to be in Franschhoek. # Clarke’s is opening a pizza section. # The Stack will re-open mid-2016, after renovations due to fire damage. # Greek Fisherman has moved to a new location in the V&A Waterfront. 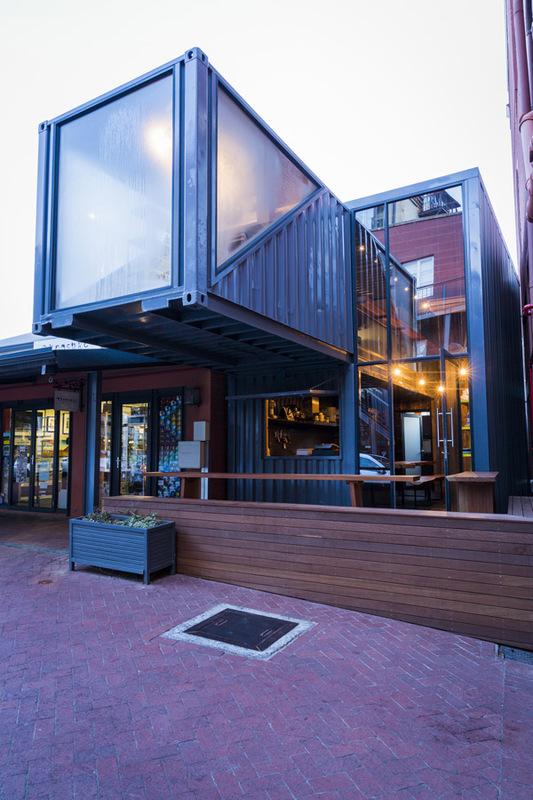 # Bootlegger has opened where Voila was in the Cape Quarter. # The Harbour House Group is to take over The Grand Camps Bay. # SMAK Deli has opened where Tribakery used to be, on BreeStret. # You are There has opened on Regent Road in Sea Point. # Maggie’s Café has opened where 65 on Main operated in Green Point, owned by Chef Riaan Burger, previously of Mondiall. # Sababa has changed the name of its Bree Street branch to Olami. # Tiger’s Milk Smokehouse is opening were Emily’s used to be on Kloof Street. # Grande Provence Restaurant Manager and Sommelier Khuselo Mputa has moved to The Westcliff. Jacobus Johannes has been appointed as the new Restaurant Manager. # Chef Maritz Jacobs of Reuben’s Franschhoek has moved to The Restaurant at The Werf at Boschendal..
# Chef Tanya Kruger has left Makaron, having left the restaurant industry. # Chef Craig Patterson has joined The President hotel. # Chef Lucas Carstens of Cuvée has moved to Makaron, with Chef Pete Goffe-Wood appointed as Consultant. # Chef Ryan Shell is now at Vergenoegd wine estate. # Carolize Coetzee is the new chef at Cuvee at Simonsig. # Chef Etienne Wessels has left the Grande Roche, and has joined Ulusaba. # Chef Andres Condé has left the Harbour House Group. # Chef Kyle Haytread has joined Oude Werf. # Chef Adrian Buchanan is the new Head Chef at 96 Winery Road. # Chef Aviv Liebenberg has left Tokara Deli, to freelance, and is running the Bistro 13 pop-up at De Warenmarkt in January. # Restaurant Manager Martin Drotsky has left the Cape Grace hotel. # Chef Westley Muller has left The Orangerie at Le Lude. # Chef Hylton Espey has left Equus restaurant at Cavalli, his Sous Chef Anwar leaves at the end of February. # Chef Angelo Scirocco has left Chef’s Warehouse, heading overseas! # Open Door at Contantia Uitsig now serves Breakfast. # Imibala restaurant in Somerset West now serves dinner on Wednesday, Thursday, and Friday evenings. # Tokara Delicatessen now serves Dinner on Saturday evenings. # The Belmond Mount Nelson has introduced evening High Tea, from 18h00 – 21h30, at R295. # Pierneef à La Motte now offers Sunday Family Lunch at R 295. # La Petite Ferme is now open for dinner on Thursday, Friday, Saturday, and Sunday evenings. # Leeu House in Franschhoek now is available for meals to non-residents, subject to availability. # Haute Cabriere will open for lunch on Mondays from 29 February. Dudley’s Larder, McGregor is not a restaurant, but a deli shop. Thank you Michael, I do include Delis in my list. Look forward to seeing it on Sunday.. Unfortunately it is closed on Sundays! Thank you or your input Lisa.